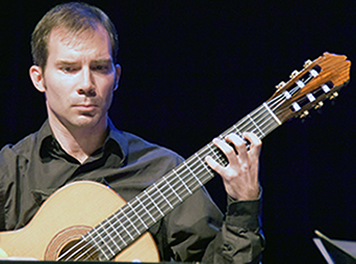 Glenn Cooper is the founding director of the Las Vegas Classical Guitar Ensemble. He received his Bachelor’s degree in Music Education and Performance and his Master’s degree in performance at the University of Idaho. His Doctorate in Music Education and Performance is from the University of Northern Colorado, where he was the director of the “String Project” (A program that utilized college students as instructors to give music lessons to at risk students in the community). Dr. Cooper served in the Clark County School in Las Vegas as an orchestra instructor, director of the Las Vegas Youth Symphony, Fine Arts Coordinator and Magnet Schools Director. As the Fine Arts Coordinator he implemented guitar program in the Clark County School District. He served as a member of the Magnet Schools of America, served on the committee of the Nevada Goals 2000 Development Committee, was co-chair of the planning committee for the Las Vegas Academy of Performing and Visual Arts, served as President of the Nevada Music Educators Association, In addition, he has performed as a soloist with the Henderson Symphony at a numerous functions throughout Southern Nevada, Utah, Idaho and California. He continues to serve as Vice-President of Las Vegas Chamber Music Cooperation. Jeremy Harting received a Bachelor of Music degree in Guitar Performance from Ithaca College, where he was awarded the Ford music scholarship and E.P. Johnson award. While at Ithaca College, he spent a semester abroad in London studying with Timothy Walker at the Royal Academy of Music. He received a Master of Music degree in Guitar Performance at Yale University where he was awarded the George Lauder Greenway Fellowship and Eliot Fisk Prize. His Doctor of Music degree was received from Indiana University in Bloomington where he examined the theoretical and historical influences of the guitar works of Roberto Sierra in his dissertation. He has also completed a Professional Certificate at Berklee College of Music Online in Jazz guitar. Dr. Harting has performed throughout the U.S. and Canada and has also been featured with the Cornell University Wind Ensemble, Salvation Army Kroc Center Jazz Band - Philadelphia, Millersville University Guitar Ensemble, Indiana University New Music Ensemble and members of the Cayuga Chamber Orchestra, Marinus Ensemble, and Metropolitan Opera Orchestra. 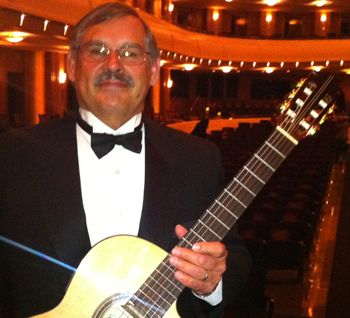 Dr. Harting currently teaches guitar at Western High School in Las Vegas and has formerly taught at Saint Joseph's University, Eastern University, Ithaca College, University of Pennsylvania, Indiana University, Yale University, The Lancaster Classical Guitar Institute, Ithaca College Summer Music Academy, Eastern University Preparatory School of Music and Darlington Arts Center. 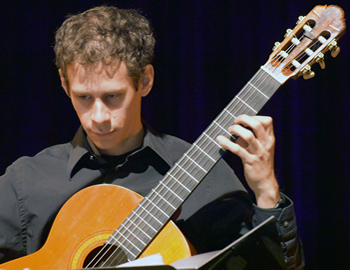 He is a founding member of the Classical Guitar Society of Lancaster (PA) and served as the President from 2016-2017. Michael Klein is a classical guitarist originally from Long Island, New York. Prior to his involvement with the Las Vegas Guitar Ensemble, he performed with the Fredonia Guitar Quartet and the Eastman Guitar Quartet, the latter of which was named “Best Small Collegiate Guitar Ensemble” by the Guitar Foundation of America in 2014. He currently holds a Master of Music degree from the Eastman School of Music where he studied under Dr. Nicholas Goluses and earned a performer’s certificate. Prior to his graduate studies, he earned a Bachelor of Music degree from the State University of New York at Fredonia where he majored in music education and studied guitar under Professor James Piorkowski. Additionally, he has performed in masterclasses for Anna Vidovic, Roland Dyens, Stephen Aron, Raphaella Smits, and more. Lucas Finney is an award winning guitarist and pedagogue. Awards include 1st place in Southeastern Guitar Congress competition and symposium, 25th annual Beethoven club competition, and MTNA state finalist for Tennessee. Lucas moved to Las Vegas to pursue teaching secondary education for Clark County School District. 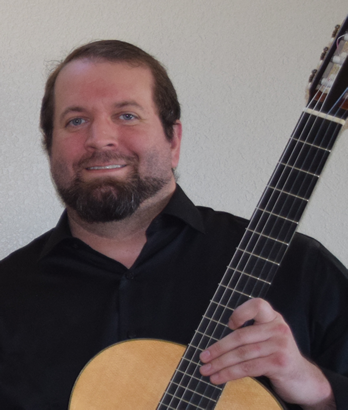 He currently serves as Department Chair and guitar teacher for The Desert Oasis High School. Previous to this, Lucas taught and developed curriculum for the guitar program at Sewanee, The University of the South. During this time he also led an online outreach program for guitar in Southern Appalachia rural elementary schools. He was awarded a Doctor of Musical Arts degree at Indiana University.